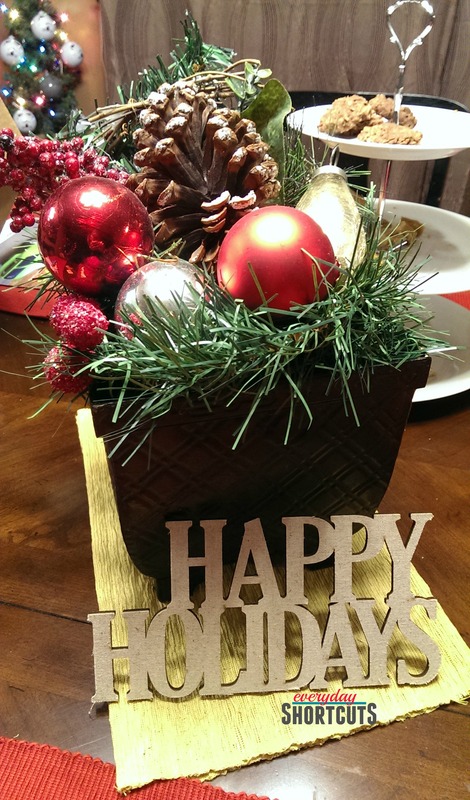 You don’t need to spend a fortune when it comes to decorating for the holidays. 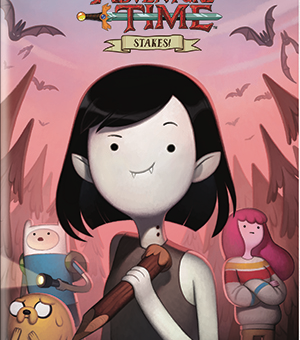 In fact, many items can be found right at your local dollar store and turned into something amazing. 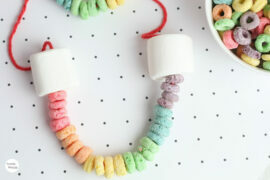 I love coming up with new ideas with items found at the dollar store, thrift store, or in the $1 -$2 bins at the store. 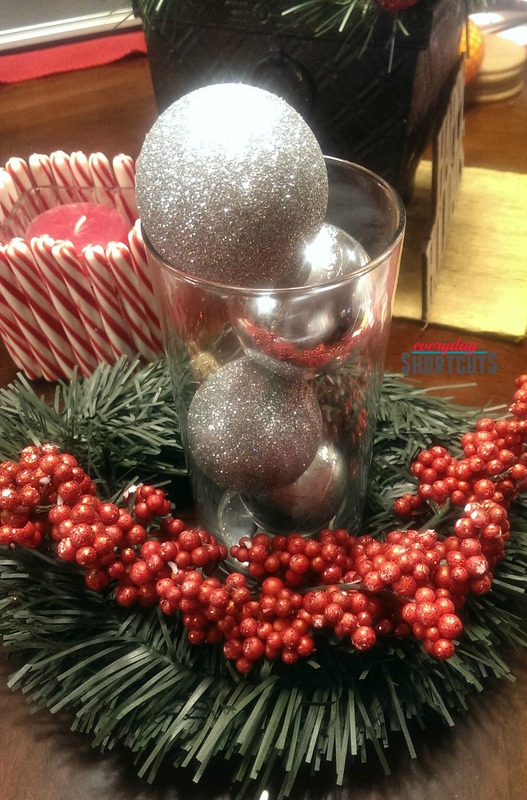 Below is a variety of Holiday Table Decorating Ideas on a Budget that I have created for my home including centerpieces, napkin holders, and place card holders. 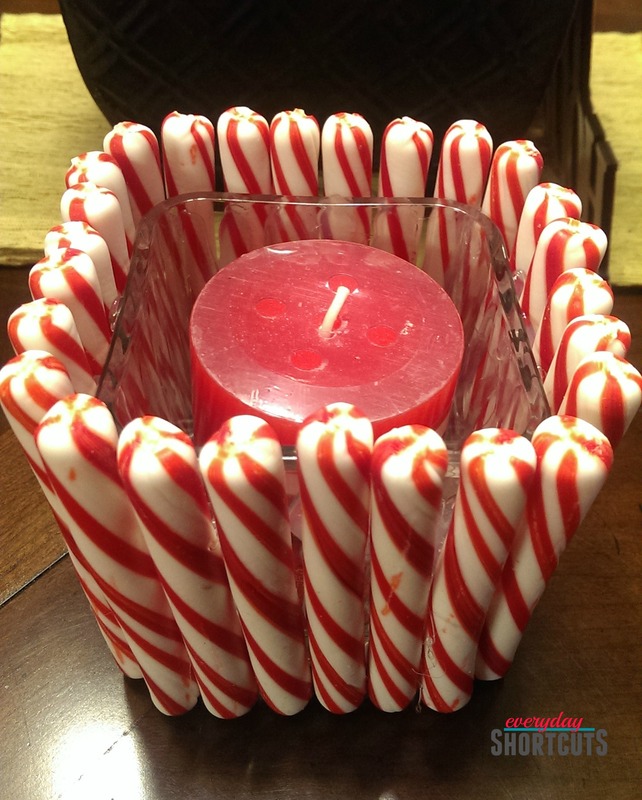 Using a hot glue gun, glue the candy cane sticks all around the glass candle holder. 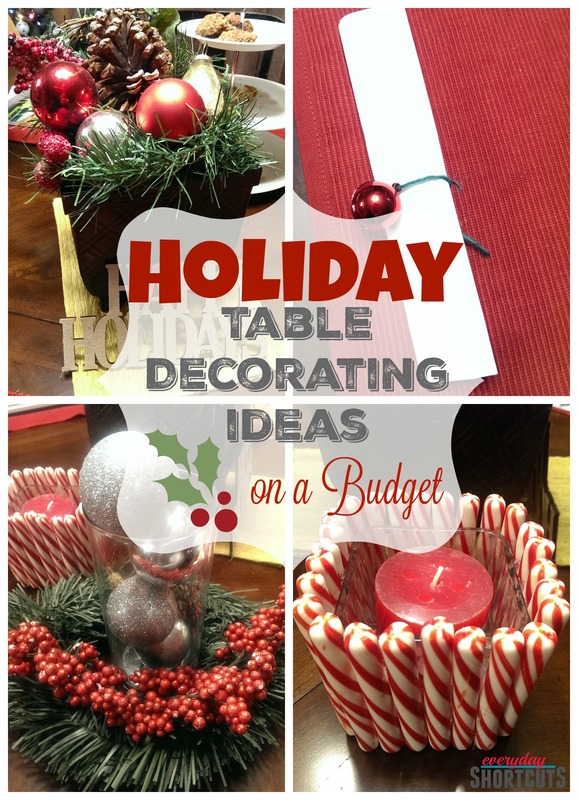 Add your favorite candle (I recommend a peppermint scent) and add to the center of your table. Using a hot glue gun, glue sticks all around the hurricane glass. Tie a ribbon around the hurricane glass. 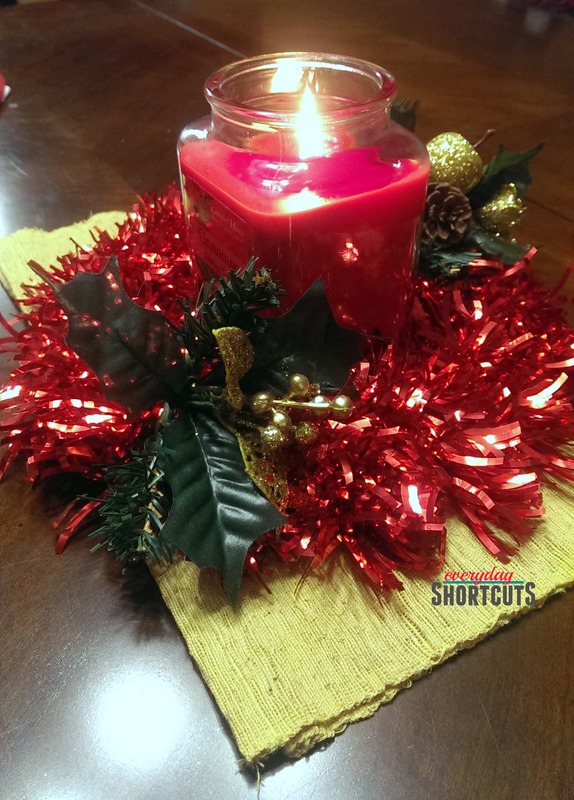 Add your favorite candle and put it in the center of your table. 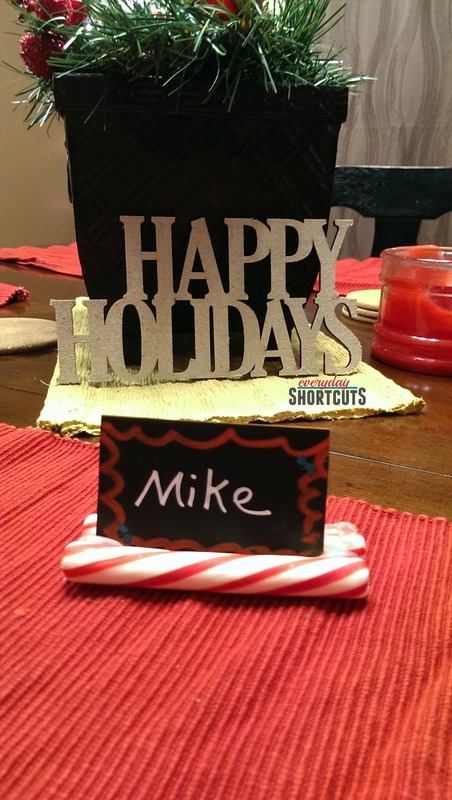 Using the hot glue gun, glue 2 sticks together leaving an opening in the middle for the place card. 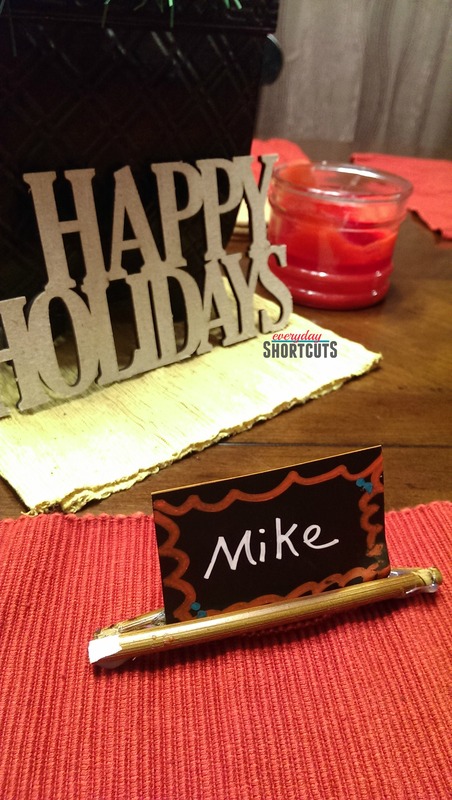 Place the chalkboard label on a piece of cardstock paper. Using chalk ink markers write the name of your guest and a design or picture of you want and let dry. Cut out the place card and insert in the stick holder and place accordingly on the table where you want your guests to sit. 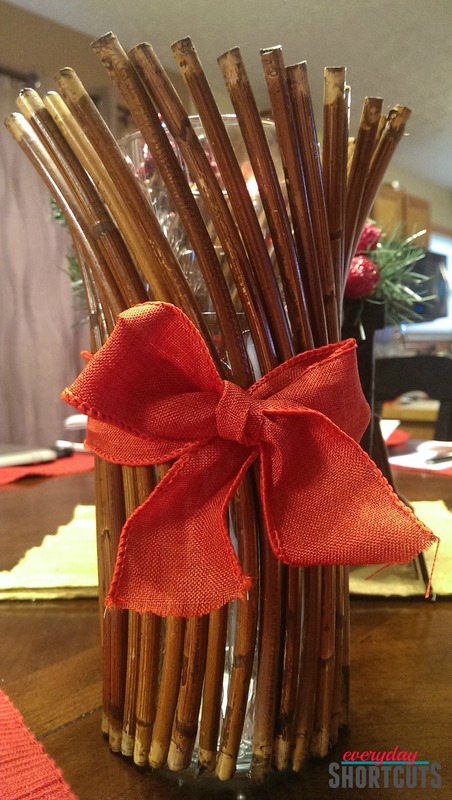 Using the hot glue gun, glue 2 candy cane sticks together leaving an opening in the middle for the place card. 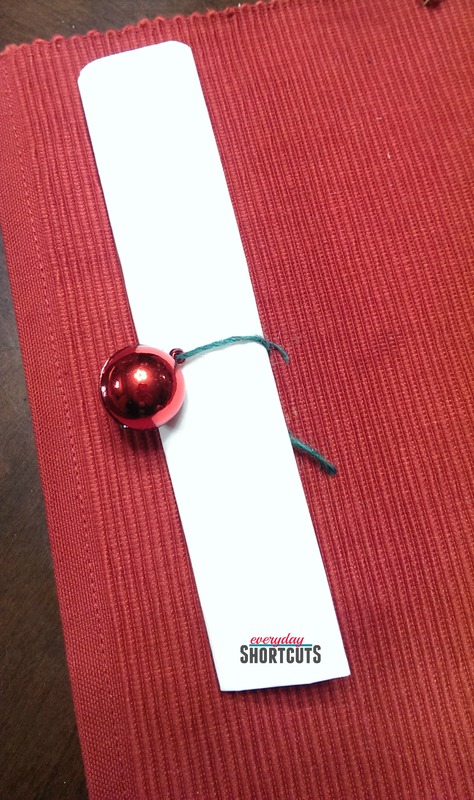 I found a bag of these small ornaments at the thrift store for 50 cents. Using a piece of twine found at the dollar store I attached the small ornament and tied around the paper napkin I got at the dollar store. 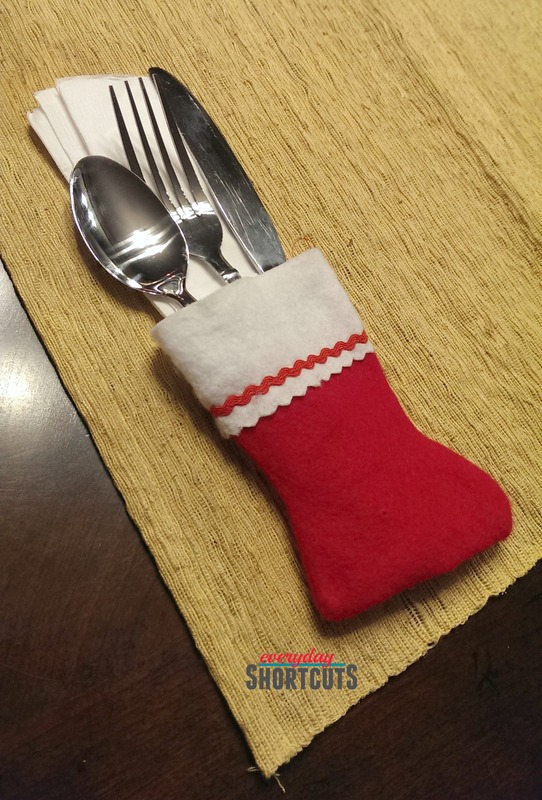 Using mini stockings from the dollar store, I inserted paper napkins from the dollar store and my silverware for a festive table setting. Don’t forget to shop the clearance racks after the holidays to stock up on some inexpensive holiday items for next year!